Meet Santa at the Paley Center in Beverly Hills! Watch Holiday TV Classics! Enjoy Family Activities! FREE Hot Cocoa! Meet Santa! Watch Holiday TV Classics! Enjoy Family Activities! FREE Hot Cocoa! Beverly Hills, Calif. –The Paley Center for Media celebrates the joy of the season with a special family-friendly experience. It’s Holiday Time in PaleyLand features continuous daily screenings of beloved classic holiday TV programs from the Paley Archive. Families can also enjoy special holiday activities like arts and crafts, dreidel games, and FREE hot cocoa! NEW this year: enjoy an immersive Instagram experience where you can pose in a whimsical Candy Cane Forest. Post your pics using the hashtag #PaleyLand. Santa photo with PaleyLand digital frame plus the digital file is $10. Breakfast with Santa in PaleyLand for Paley Members Only! 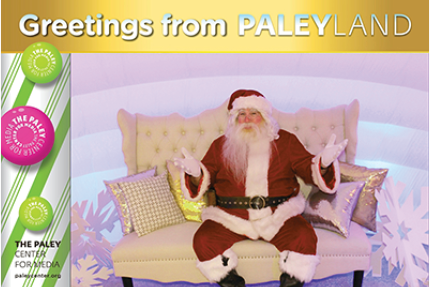 Kick-off your holiday season with an exclusive sneak peek of PaleyLand for Paley Members Only. 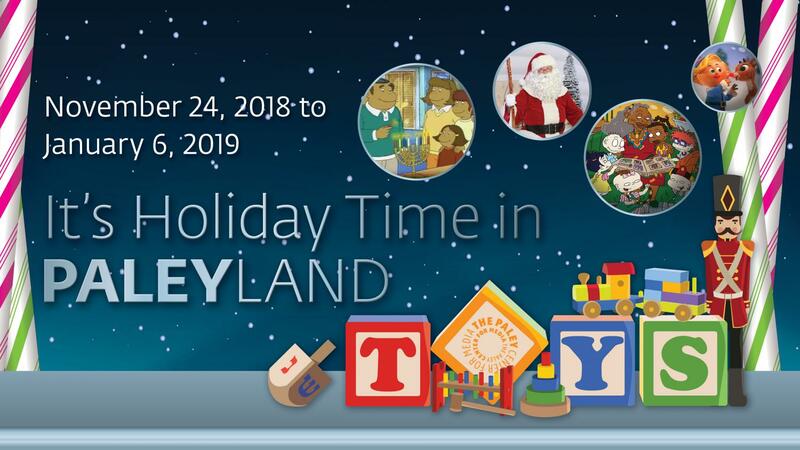 Enjoy breakfast bites & treats, get your FREE souvenir photo with Santa or the Paley Menorah, watch favorite holiday TV Classics on the big screen, and express your creativity with arts and crafts in the PaleyLand Workshop. Become a Member now to come to Breakfast with Santa.